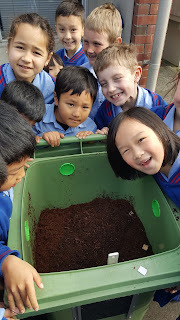 Today Room 20 had an Enviro Day with Mrs Daniel. 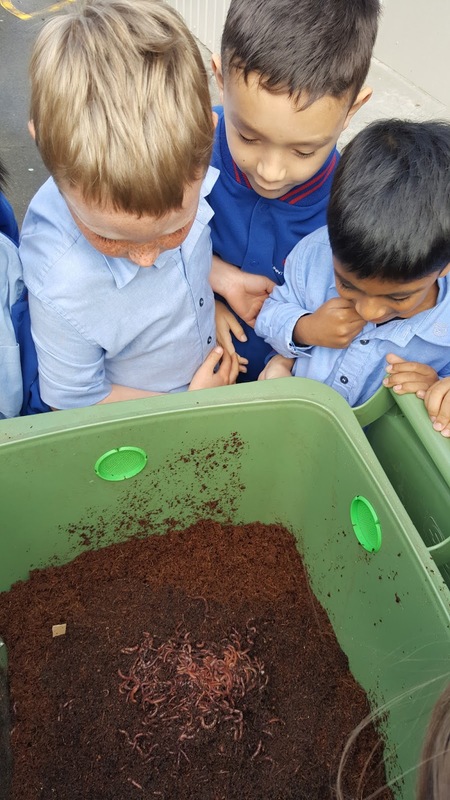 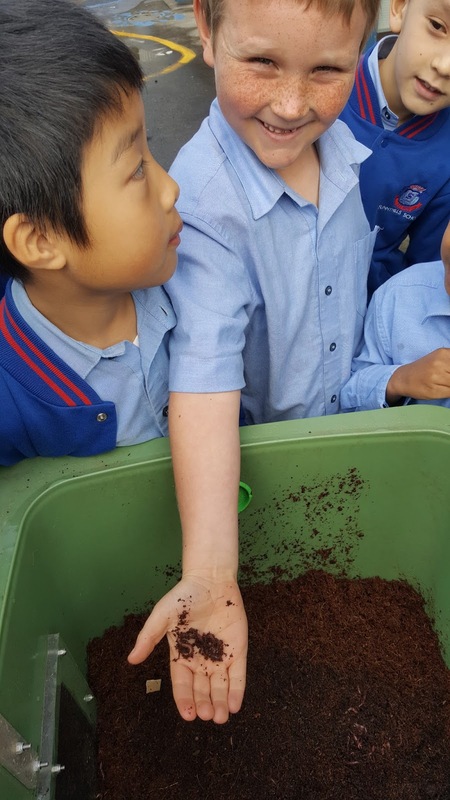 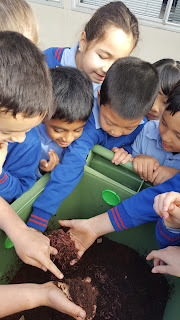 We learnt all about worms, in a very hands on way. 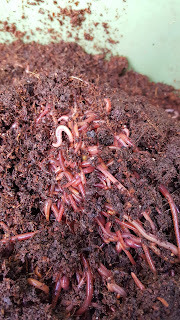 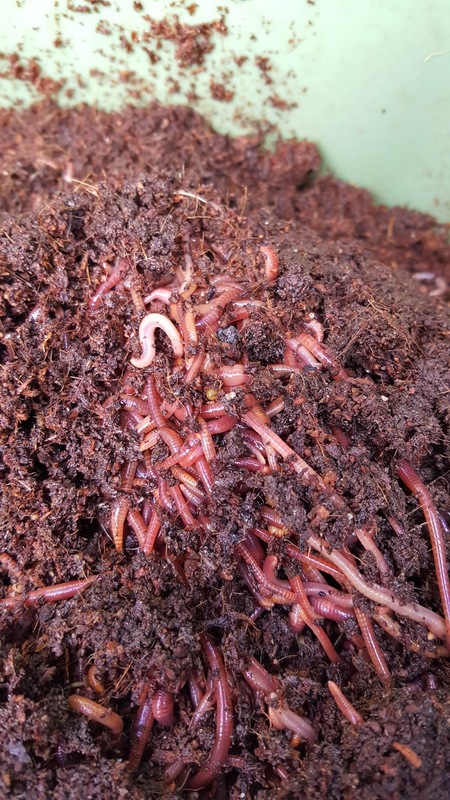 We set up a new Middle School worm bin; complete with 2 000 wiggly, squiggly worms to munch our lunch scraps and make worm tea food for our edible gardens. 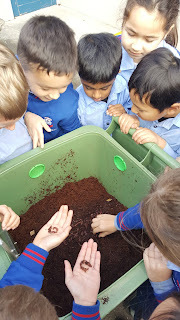 We can't wait to feed, water and care for our wonderful worms. 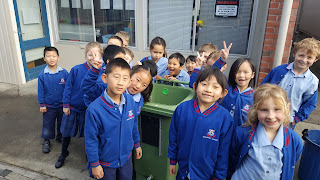 Hi Room 20! Thanks so much room 20 for setting up the worm bin for us. I have promoted your work on our school Facebook page to spread the word about how we are looking after our environment. I bet those worms tickled when you had them in your hand!Is someone a monitor to come and get the worm bin rubbish from the staffroom each day? Hello Mrs Driver we have decided to follow a timetable and there will be 2 children coming to the staffroom after lunch each day, today it is Carter and Carolyn. Mrs Trembath will bring the children down to the staffroom today to show them where to go. Hi Room 20. 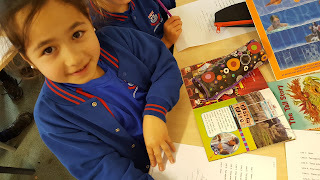 A timetable sounds like a great idea! Thanks for taking responsibility for clearing this daily. 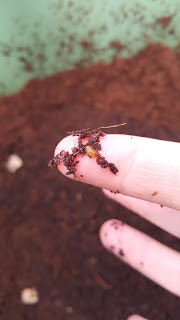 I really appreciate it and I know that the other staff will too!